We have started a regular, weekly program of shop training on tools. While the emphasis will be on power tools to instill safe practice, there will be instruction on the use and care of hand tools as well. 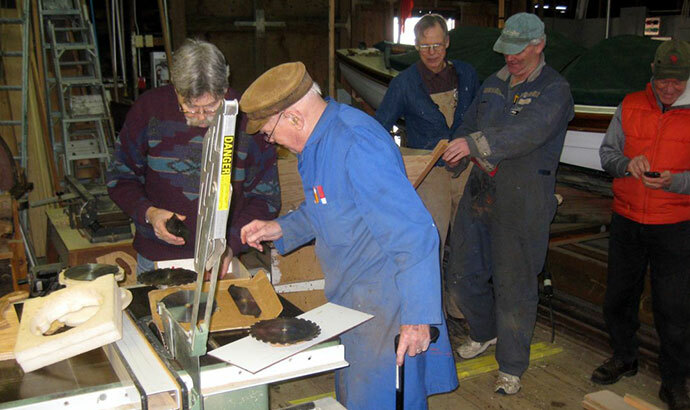 Every Saturday morning, at 11:15, a member shares his or her expertise on some aspect of shop practice. Particular attention is paid to safety as these powerful machines can, in an eye blink, change one's life forever. For now the sessions are strongly urged for all active volunteers and open to all Society members. In the near future we hope to invite members of the general public. 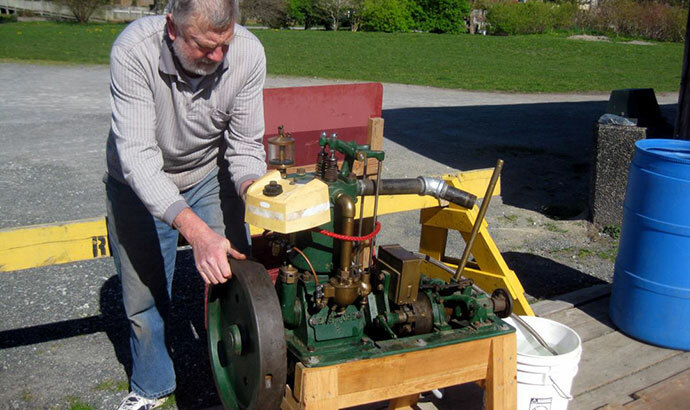 In this image we see Dave laying his talented hands on the flywheel on an antique Easthope engine in an effort to make it run. This engine was probably manufactured in Steveston before the Easthope foundry moved to False Creek. This engine, and its close relatives (viz. Vivian) was the power plant of choice for fishing vessels in this area during the '20s, 30s and into the 40s. There are still a few in service in vessels that are retired from active duty but are still operated by their owners for love rather than money. These engines are pretty well gone from the industry now and only a few remain in museums and private collections. Dave got a few detonations on this day but smooth running remains a future goal. The Eva, a classic 1937 gill-netter currently in Finn Slough. is powered by an Easthope engine. She visits Britannia from time to time. This brief video features the sound of her engine at idle: hear Eva Idling at Finn Slough. The Society held its Annual General Meeting on Saturday the 12th. A gratifying number of members took advantage of the beautiful, sunny day to elect new members to the board, return some long-serving members for another term and say goodbye to a few retiring members. Elaine has served on the Board for at least a decade and has done yeoman duty as Secretary and, when needed, as Treasurer. 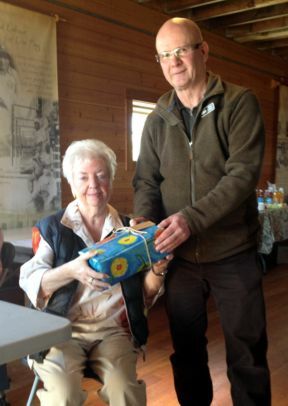 Less official, but no less valued, perhaps even more appreciated, Elaine has ensured a steady stream of her delicious baked goods flows into the Society lunch room and into volunteers' tummies. She has also kept the Murakami garden in show condition and generally improved the place with her sunny disposition.